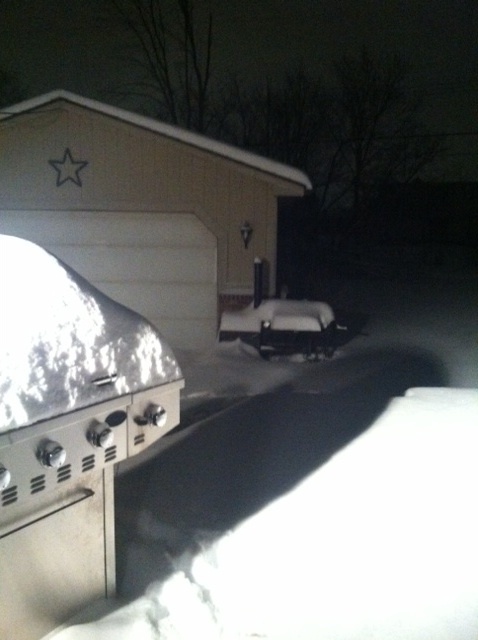 I dont know how much snow I have out there, but it is “alot” and I am snowed in. My driveway is not plowed, nor is my walkway out to the driveway shoveled. My car is front wheel drive and safely inside the garage – for now. It is also 12 degrees with a wind chill that is making it feel like minus 1 outside. So I am not going outside – at least for a while. I hope somebody comes and plows the driveway today – at some point. I will need that to happen in order for me to get out tomorrow for work. Will wait until this afternoon before worrying about that. Yesterday I picked up a book that I had, “Design Explorations for the Creative Quilter” by Katie Pasquini Masopust. I got her book when I was at Northern Michigan College when they were featuring “Artistic Quilts” on display at the Dennos Museum Center in Traverse City. I got the book a couple years ago and I am by no means a quilter yet. I got the book because I loved the “creative exercises” that she puts the reader or artists through to come up with “art quilts”. You can see them as well under “workshops” on Katie’s website. I thought the rates for her workshops are reasonable. She offers online classes too. Interesting. Maybe I could offer online classes on what I teach at College for Creative Studies – I had converted my business course into workshops for artists who needed help with their marketing, their social media and so forth. Online classes are different though – it is not for everyone. I have done it myself and am about to start my online course on grantwriting in late January. Another chapter she has is “exploring watercolor painting” and my favorite, I think is her chapter on “exploring palette knife painting” Now she wants to do it “free form” – creating strokes of lines using a triad color scheme. I am thinking of attempting to do the Dwarf Lake Iris composition using the palette knife. I had to stop and eat. Ate a bowl of Cream of wheat with blueberries. My driveway is now being plowed. I don’t have to worry about getting out. I just need to shovel a path from the house from the deck to the garage. It’s all good.